What is a landlord statement? A landlord is a person who owns and manages a property such as an apartment, house, lot, or condominium that is either leased or rented to individuals or business entities. 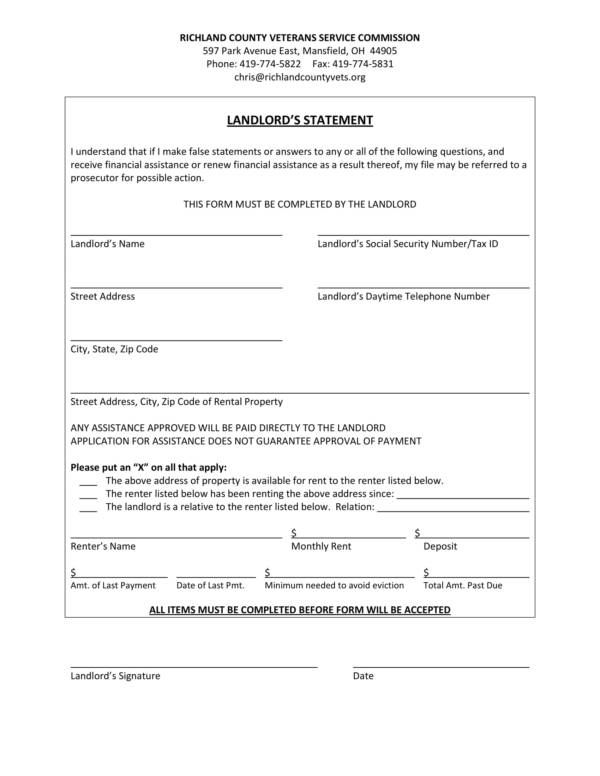 Landlord statements are sample statements given by a landlord to declare something about a particular thing that involves the leased or rented property. Landlord statements are the main focus of this article. It is an important legal business statement documents that is used for whatever purpose it may serve. In this article we will cover the uses of a landlord statement, how to be able to create one, and its many different advantages. 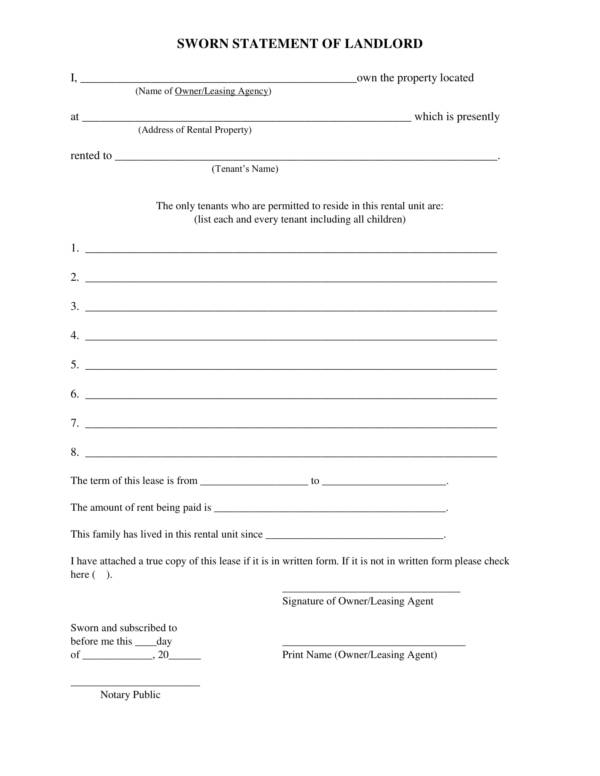 We have also included landlord statement templates that you can both use as your own or as a reference for study or other business needs. Feel free to check them out below! 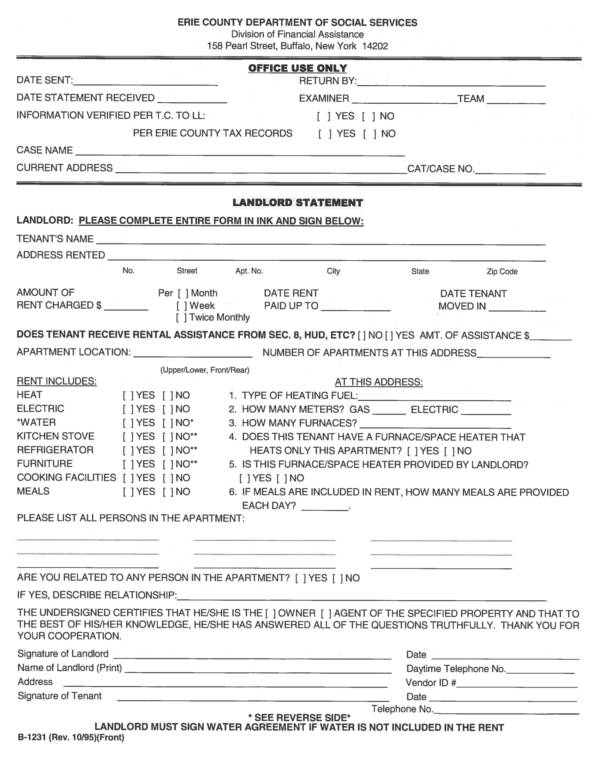 A landlord statement is a written statement that is used to answer any questions that an entity wants to know or ask about the landlord and his property. 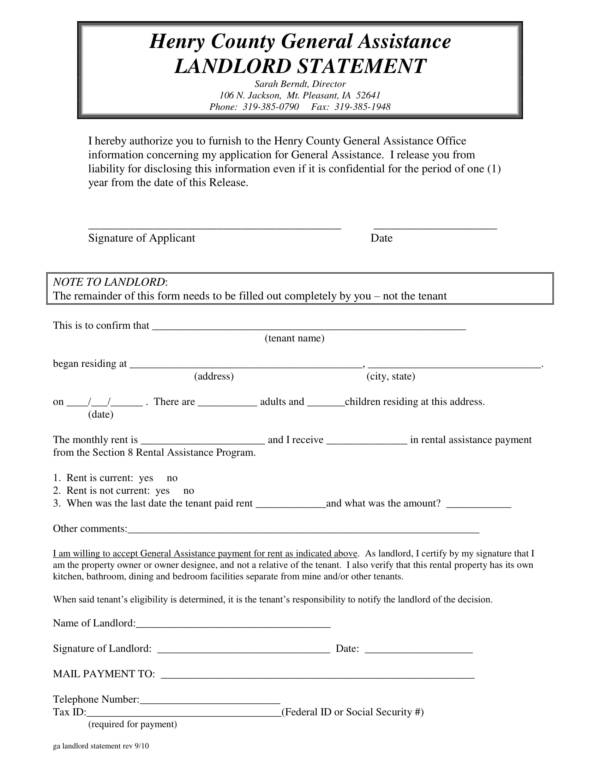 This entity can be a government authority or a private business to whom the landlord is applying for financial assistance or general assistance. 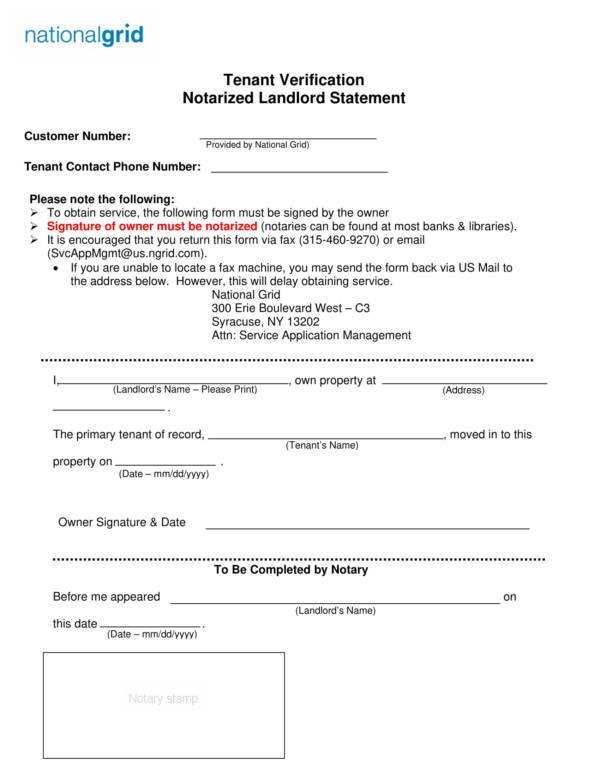 A landlord statement is used as a consent form or entry form that serves as proof that a tenant has been allowed or not allowed to do within the premises or property. 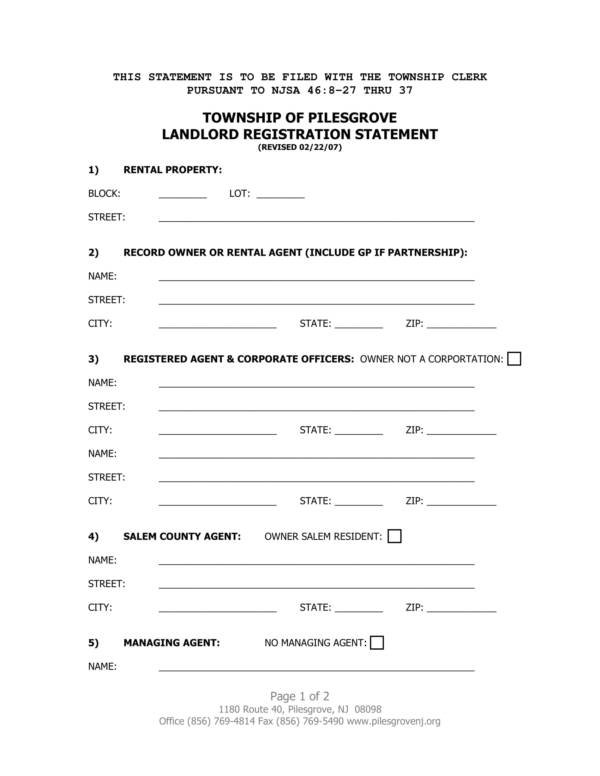 A landlord statement is filled out by prospective tenants to help or assist them on how to rent or lease a particular property and answers questions regarding the lease or rent of the property. 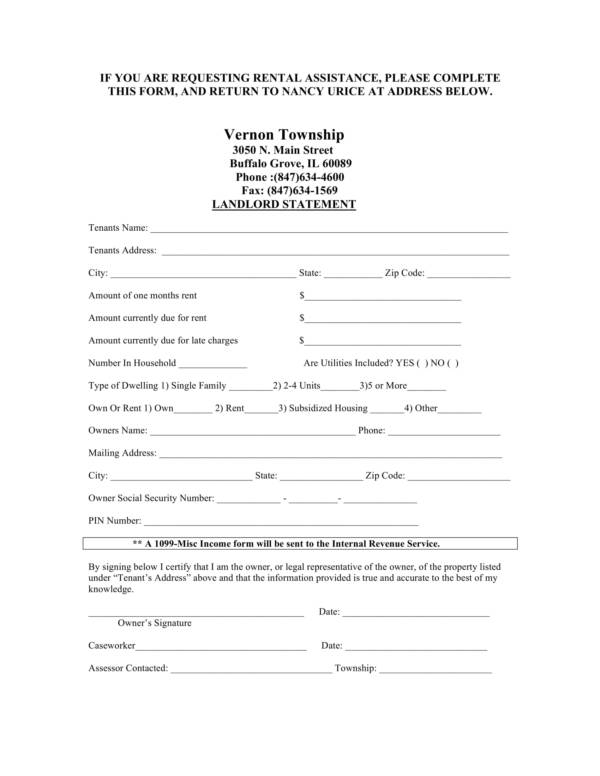 You might also be interested in rental billing statement templates. 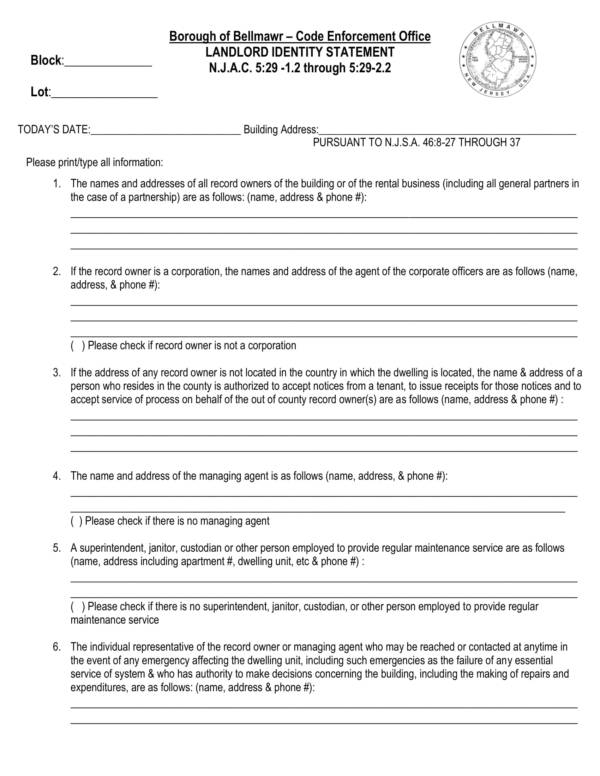 A landlord statement is used to declare or identify the identity of the landlord and his property. 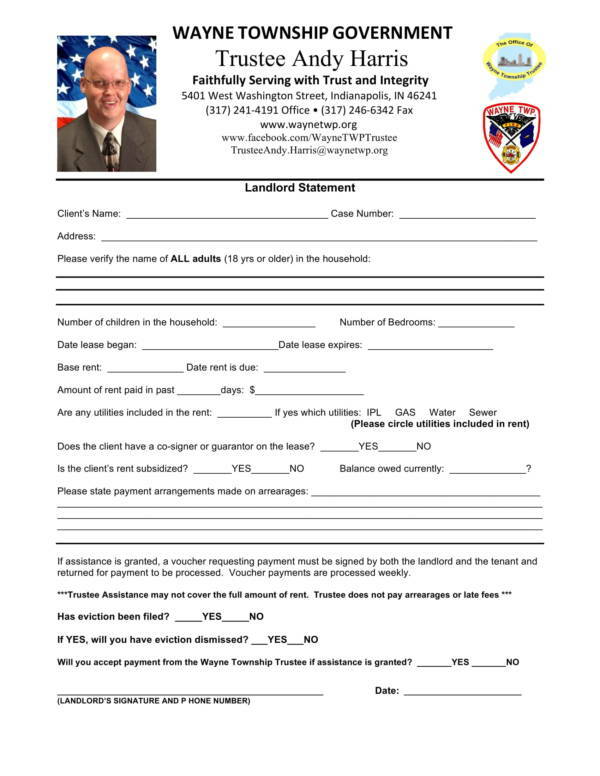 There are truly a lot of things where a landlord statement is used. To learn more about other statement-related topics, you may check them out on our website. Some of the topics that you will surely find interesting are compliance statement samples and templates, narrative statement samples and templates, and notary statements samples and templates. 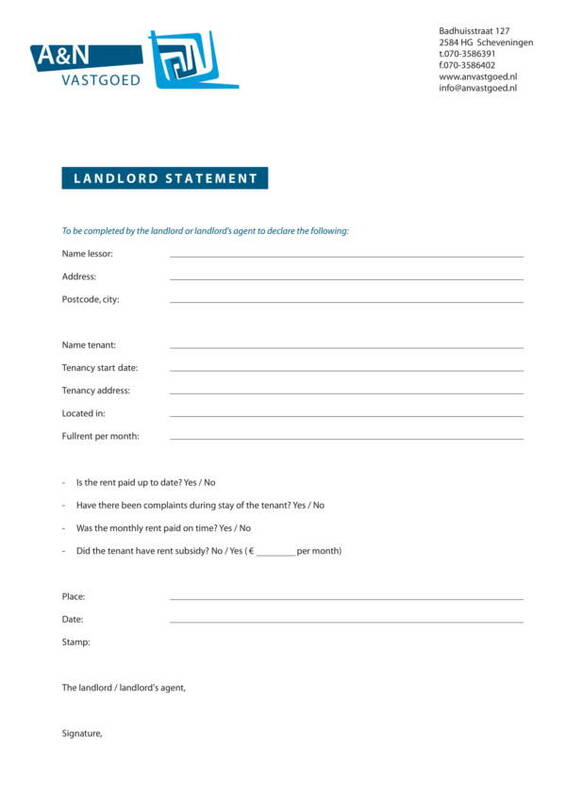 Use the steps below for you to be able to easily create a landlord statement. Determine the purpose of your landlord statement or the reason why you need to create one. It is important that you decide on this because it will help you to think clearly about what you need to do and write on your statement. 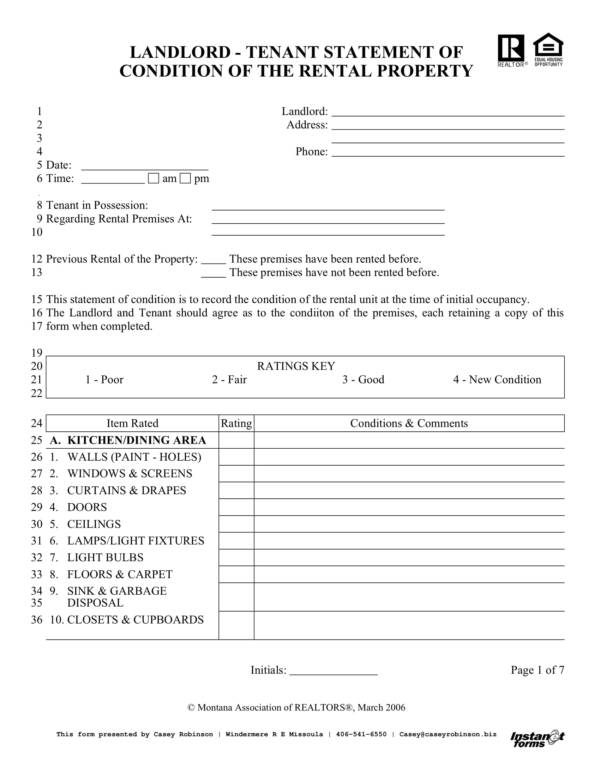 The next step is creating an outline or draft of the type of landlord statement that you want to make. 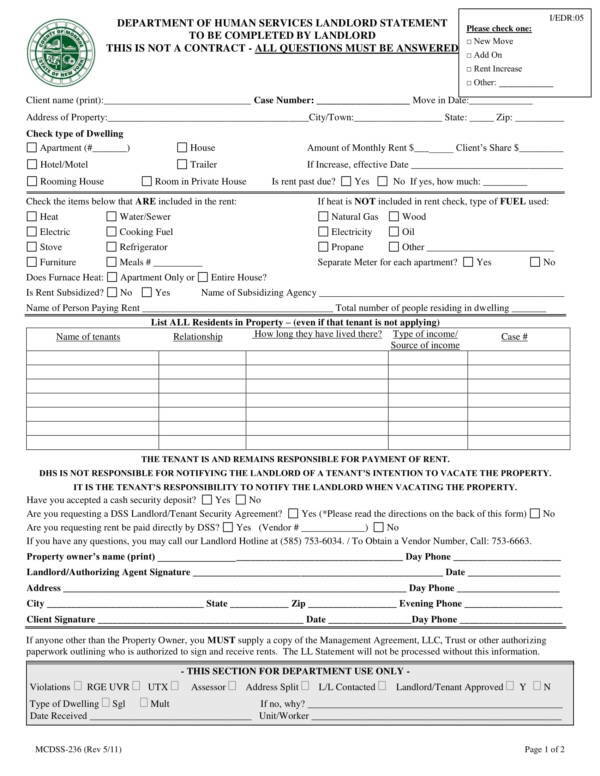 You may also search online for a landlord statement template that is appropriate for your needs. This way it will be more convenient for you to complete the task and finish it easily. When creating a draft or outline, you may refer to samples or templates to guide you on what to include on your statement. You may also see landlord notice. After creating your draft, prepare the sheet where you will be transferring it. Set the page layout, paper size and orientation of the paper or document you will be using. It is also important to set the margin size of your paper to the same size for all sides to give it a framed and professional look. 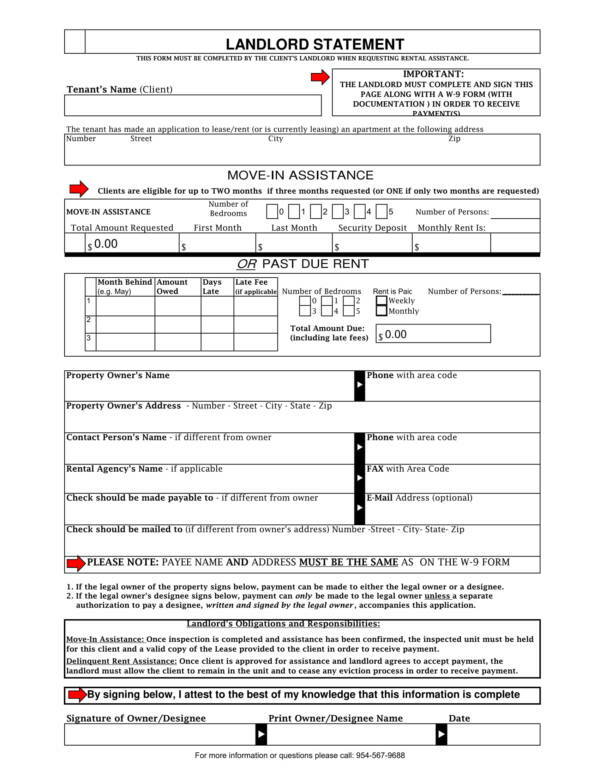 One by one transfer the contents of your draft to the age or document that you have prepared. Make sure that you do not forget anything. Review your work to make sure that the sentences are coherent and that the details are complete. Also check for grammar or spelling errors as it may affect the meaning and purpose of the landlord statement that you have created. Save your work and then print the required number of copies that you need. 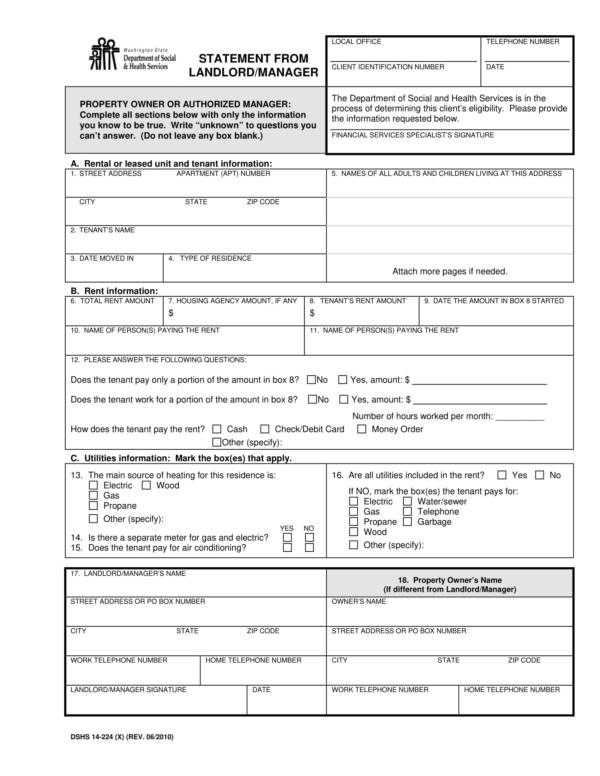 Keep a copy for yourself and provide the other copy to the entity or agency who requested for it. 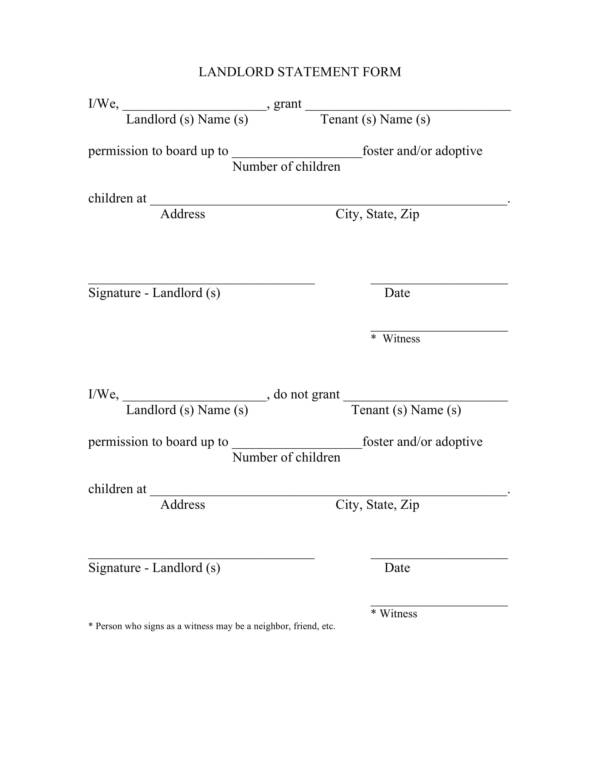 Don’t forget to sign both copies and also have it signed by the other party as proof that you both agree to what is written in the landlord statement. 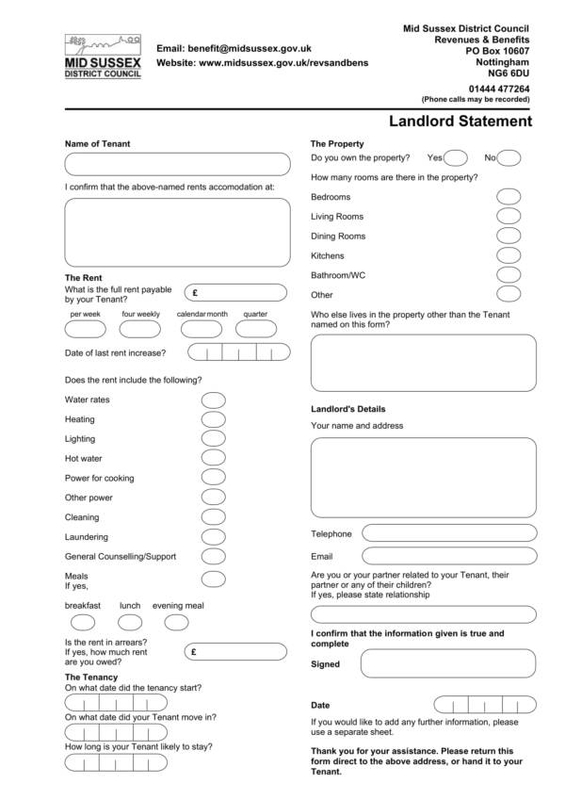 Follow the steps below If you are using a landlord statement template that you have downloaded online. Open the file or grant application that you have downloaded. Make sure that it is a file supported by the applications available on your device. 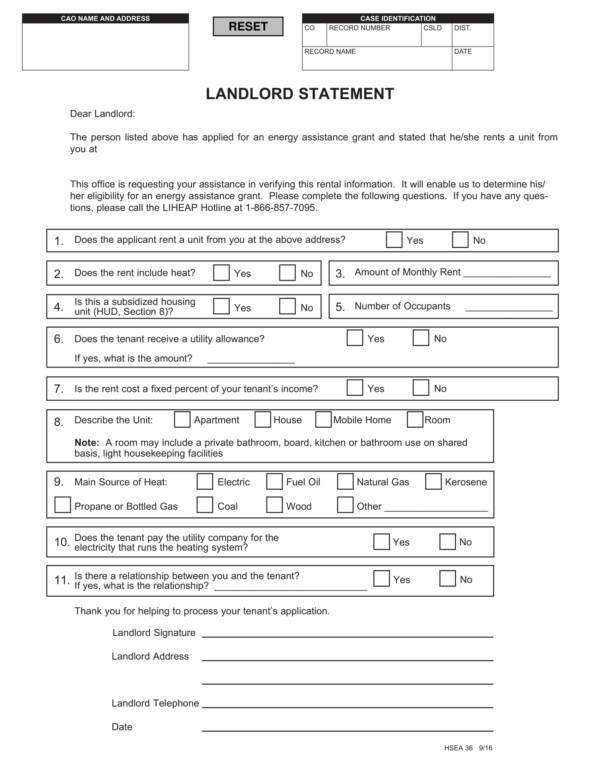 Read through the landlord statement template that you have downloaded. While doing so, make the necessary changes that you want with it. Change or remove a certain part of the statement form by simply highlighting the word or words that you want to change or remove and then press the backspace button. Review the changes that you have made making sure that the landlord statement still means the same thing and that it is still understandable. When you are satisfied with it, you can go ahead and have it saved. Print the number of copies that you need. Sign both copies and also have the other party sign them. That is about everything you need to be able to create a landlord statement. No special tools and definitely no special skills. You just need to know what you are doing and why you are doing so. Check out more articles regarding statement samples and templates on our website, like Employer Statement Samples and Templates, Rental Billing Statement Templates, and Travel Expense Statement Samples and Templates, to name a few. 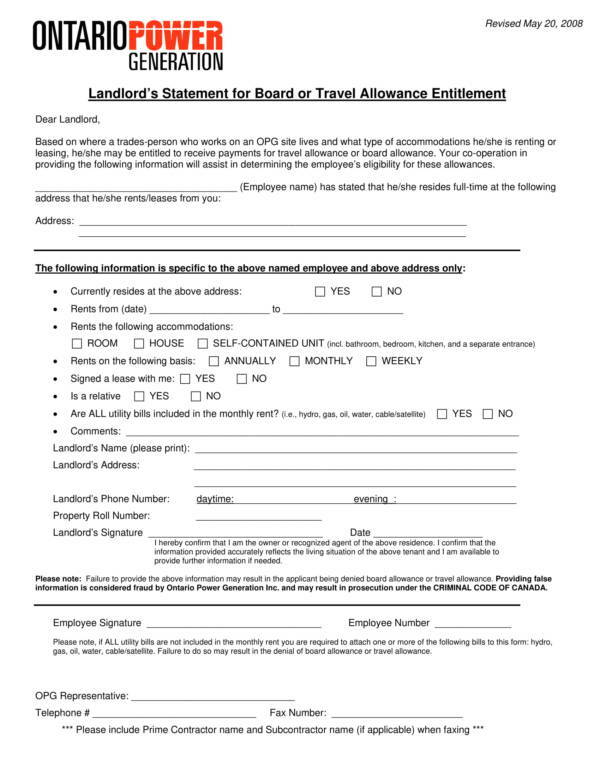 Landlord statement samples and templates provide a complete and comprehensive document that is easy to use and understand. You can easily create a landlord statement for whatever purpose with the use of the template. You can find different types of landlord statement template online and they are mostly for free so you won’t have a hard time looking for them. The template can be used as your reference if you ever wish to make your own template that is based on your preferences. You can easily edit a landlord statement as they are created in file formats that are easy to use and deal with, such as PDF, Word, and Excel. 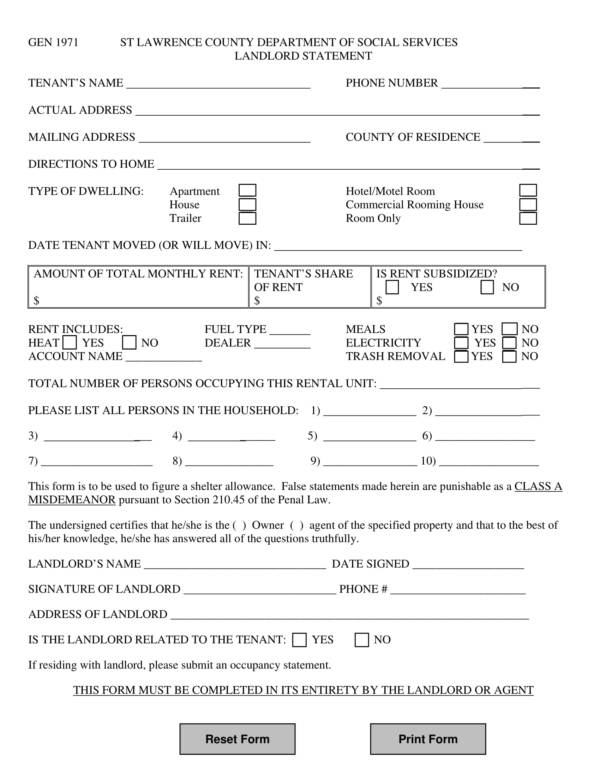 Landlord statements templates produce effective and accurate documents easily and conveniently. It is easy to print out copies of the template and kept for future use. It can be sent via email or any other means available to the landlord. Templates are indeed useful. If it is a statement template that you are looking for but specifically a landlord statement template, then fear not because we have all sorts of statement templates available on our website that you can check out and choose from. We have titles, like Declaration Statement Samples and Templates, Warranty Statement Samples and Templates, and Statement of Facts Samples. Use the tips below to help you with creating effective statement templates. Use a clean sheet of paper for printing your statement template so that you can produce a presentable and neat document. Learn or study about the kind of statement template that you will be making so that you can create and produce an accurate and informational statement document. Follow the requirements or standards for creating the document if they are provided by the entity you are submitting it to. When making the statement on the computer using your application of choice, make sure to set the page size, page layout, and page orientation first before you start working so that you wont forget about it. Use the same margin size for all sides of the statement template to give it a framed look that will make it even more professional and presentable. Use simple words that can be understood by anyone without referring to a dictionary or without needing to ask anybody what it means. You may also see yearly income statement samples. Always be clear and concise with your statements to prevent any unwanted confusion that may arise because the whole content was misunderstood. Use existing statement samples and other templates as your reference or guide when you are making your statement template. They will greatly help you with the layout of your template and give you ideas on what other things you can do. We hope that you find this article useful. To learn more about statements, check out more statement-related topics like Disclosure Statement Samples & Templates, Free Cash Flow Statement Samples and Templates, and Essential Financial Statements for Your Business.